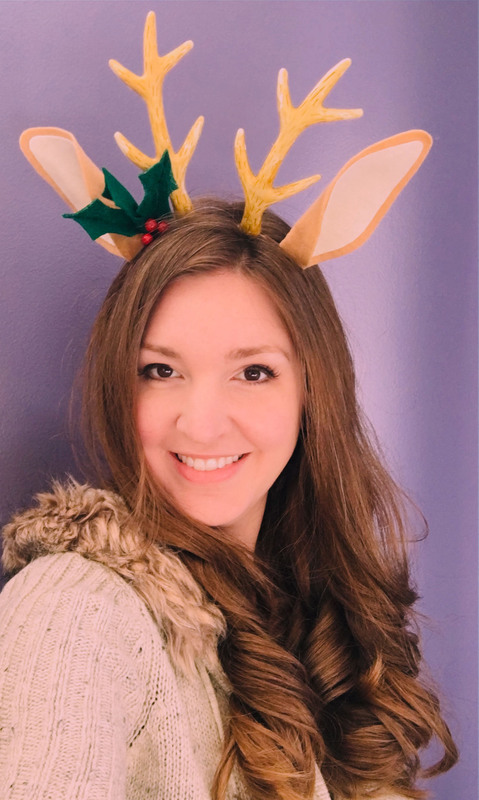 If you have a fun, laid-back type of Christmas party to attend, this DIY reindeer headband is easy to make, inexpensive, and really cute. You don’t even have to make the antlers…I found them for 98 cents each at Walmart in the Christmas section! And the felt for the ears is 25 cents a square. So if you already have a glue gun and scissors, that’s all you need and you can be one festive fawn. I added a sprig of holly which you can make, or just buy, or make/buy your own flowers to make a flower crown look. False lashes also add a pretty touch for big, doe eyes. The steps are quite simple! 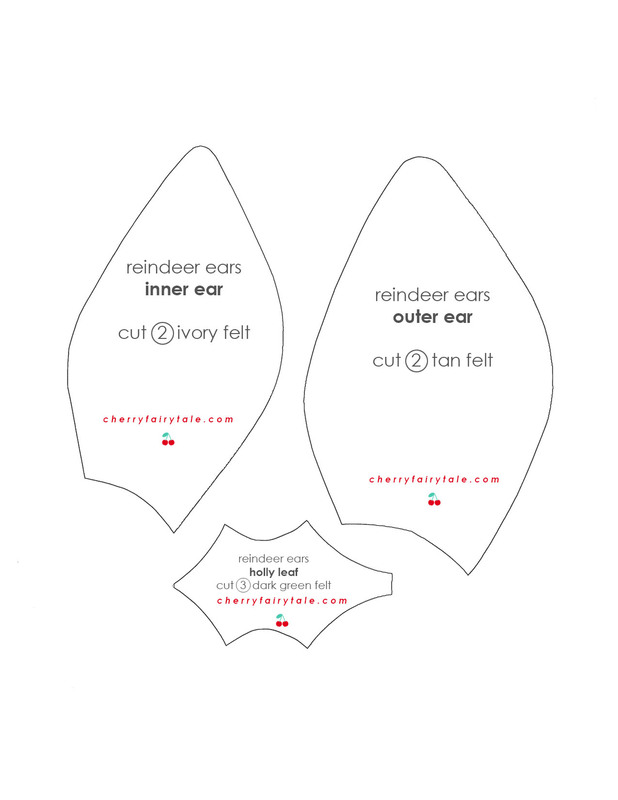 Print & cut out the ear pattern. Cut 2 of the outer ear in tan felt and 2 of the inner ear in ivory felt. Match the bottom edges together (making sure you have a left and right ear), and carefully hot glue the inner ear on top. I recommend using the lower heat setting so that it doesn’t soak through or burn you! Fold over at the bottom edge and hot glue together. Pull the wires out from the antlers (they are not glued in so they should come out easily). Hot glue the wires together (overlapping an inch or so) and curve into a headband shape (or buy a plain headband). Hot glue the antlers and ears to the headband, spacing how you like. If you’re making the holly, cut 3 in dark green felt, using the pattern provided. I took 3 wired berries, put a line of hot glue down the center of each leaf, and pinched it with the wire inside. Or add whichever embellishment you desire! 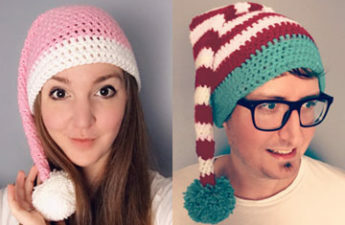 Did you make one? Let me know how it came out with a comment and merry Christmas, deer!